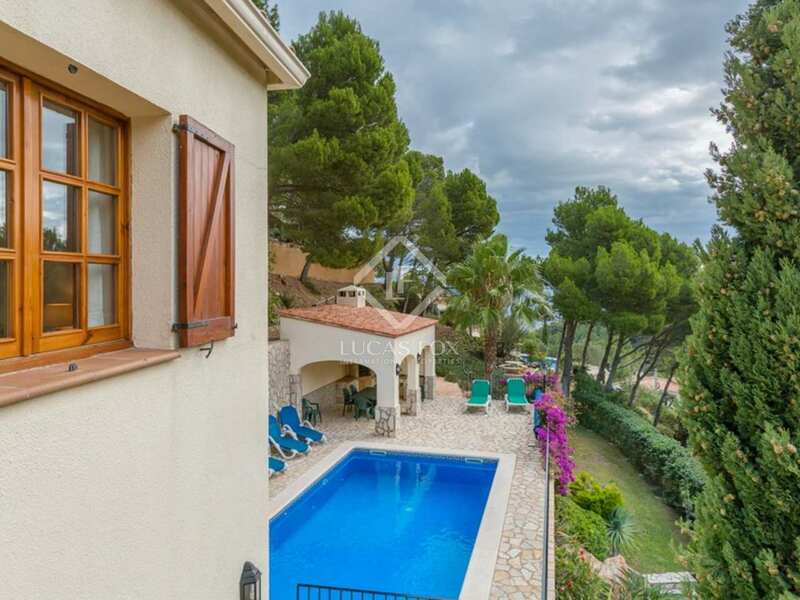 Villa in immaculate condition. 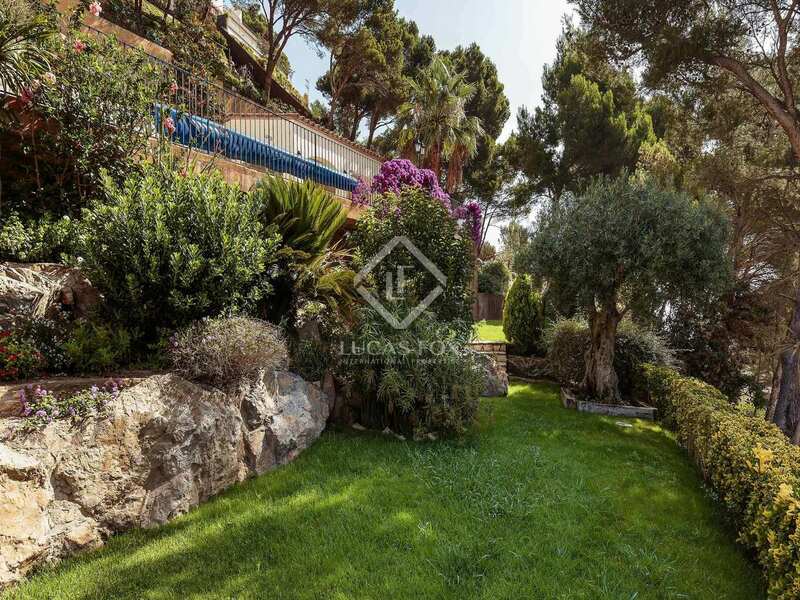 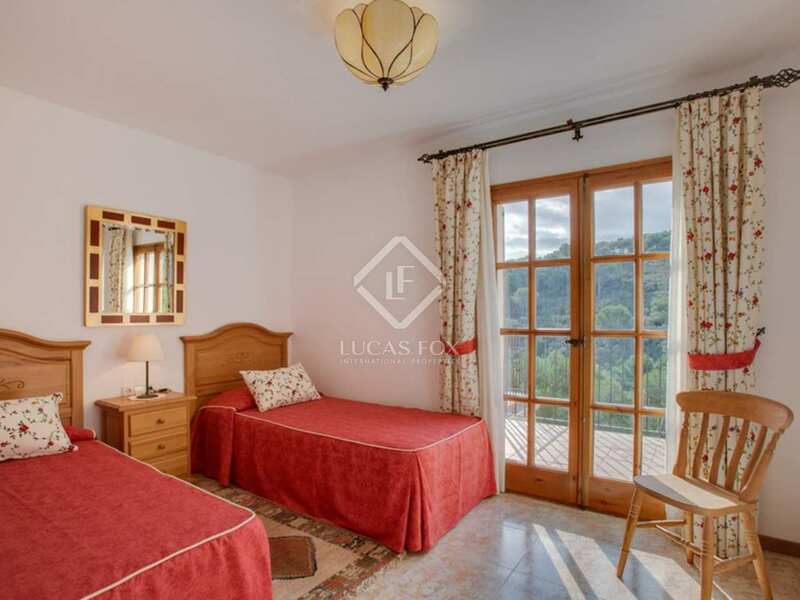 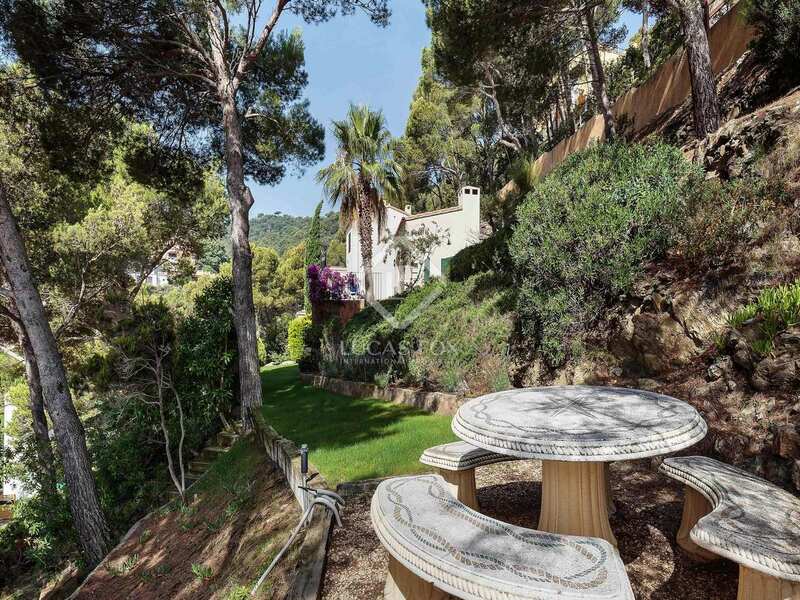 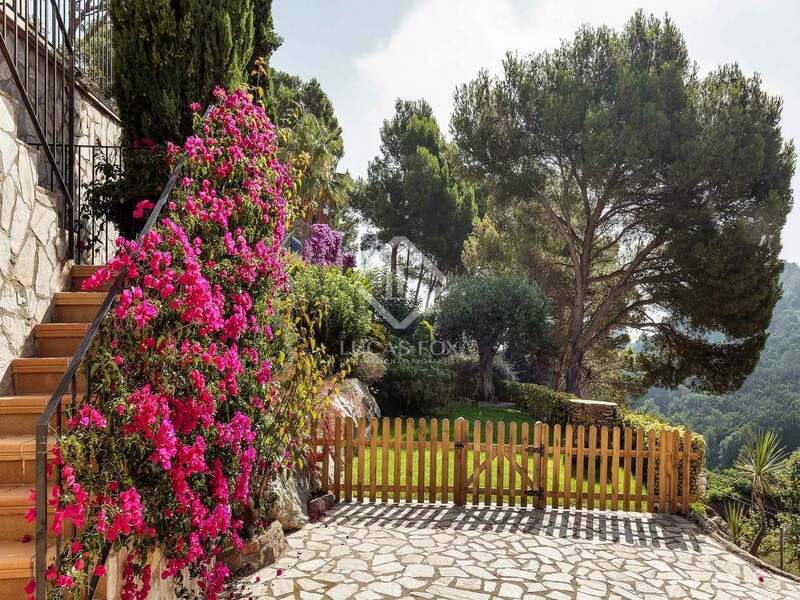 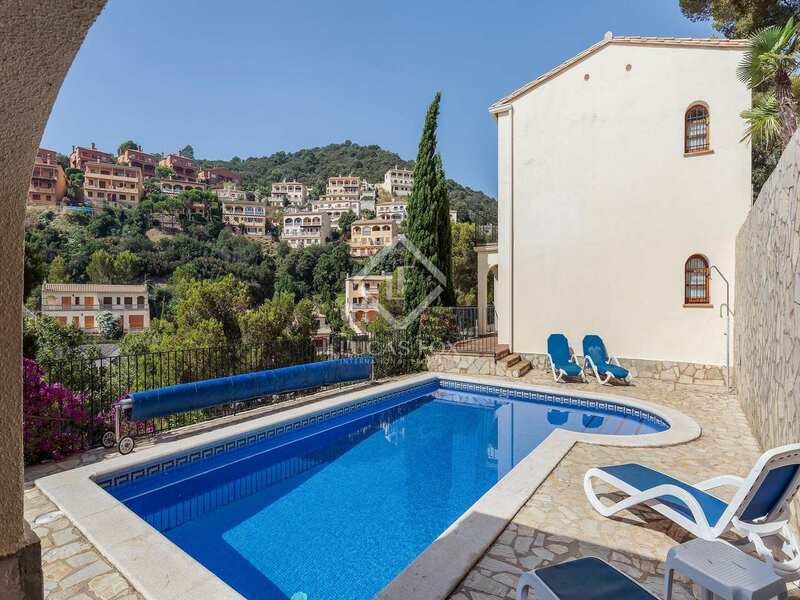 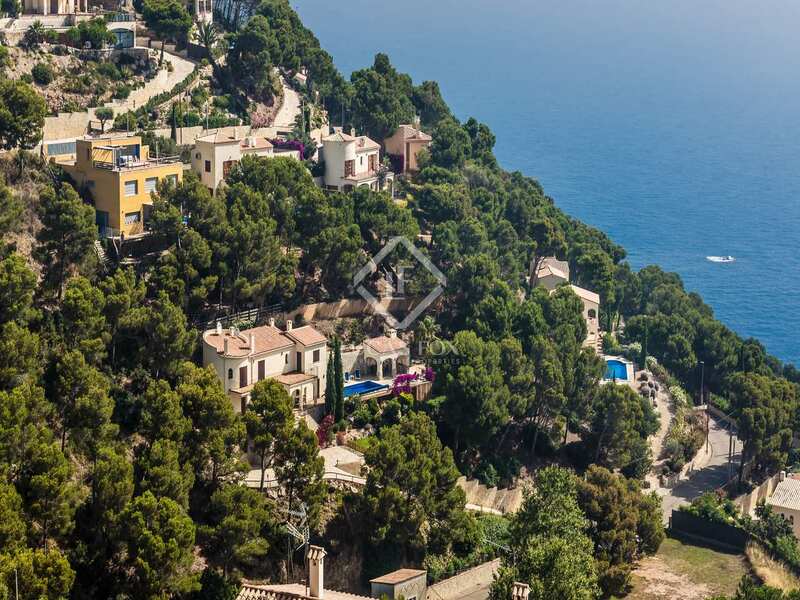 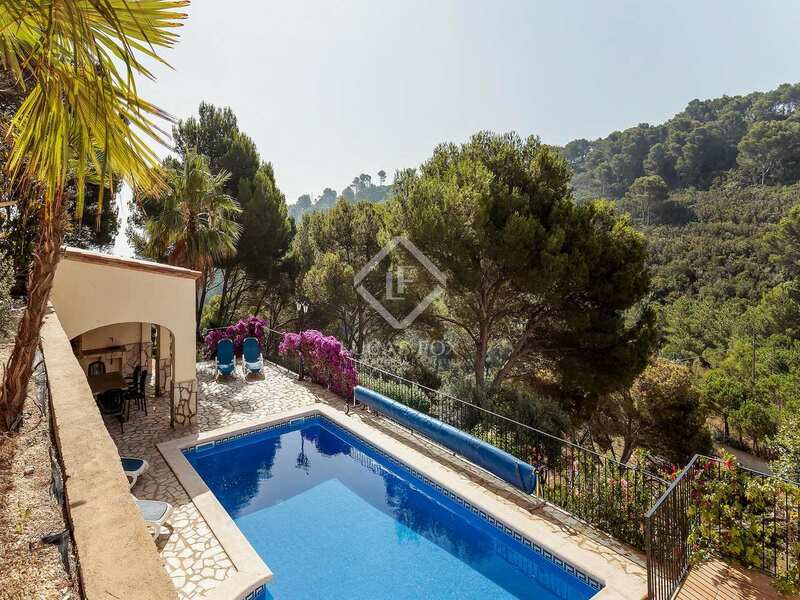 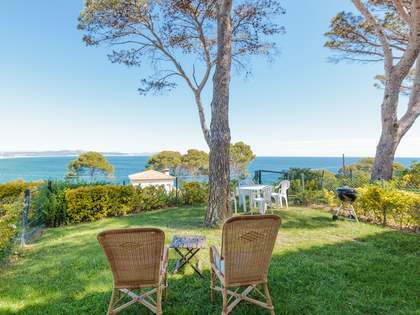 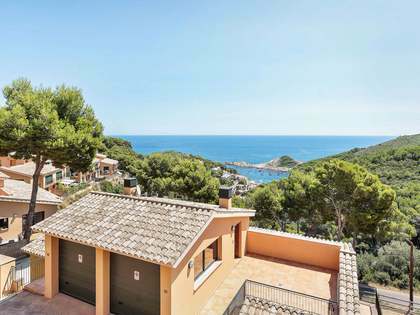 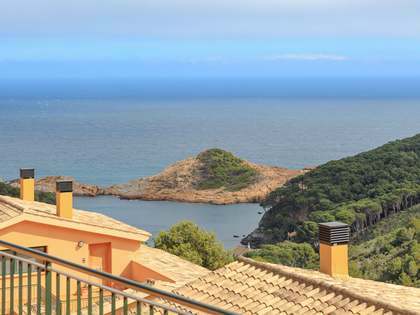 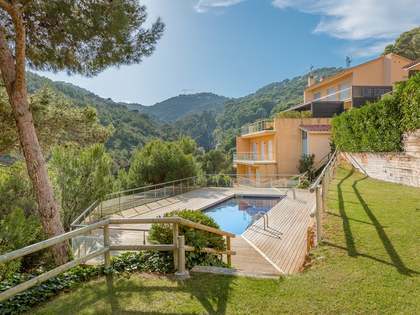 Excellent investment, 5-minute drive to centre of Begur, partial sea views, 4 bedrooms, 3 bathrooms, Private pool, set in 1,800m² landscaped garden, built size 240m². 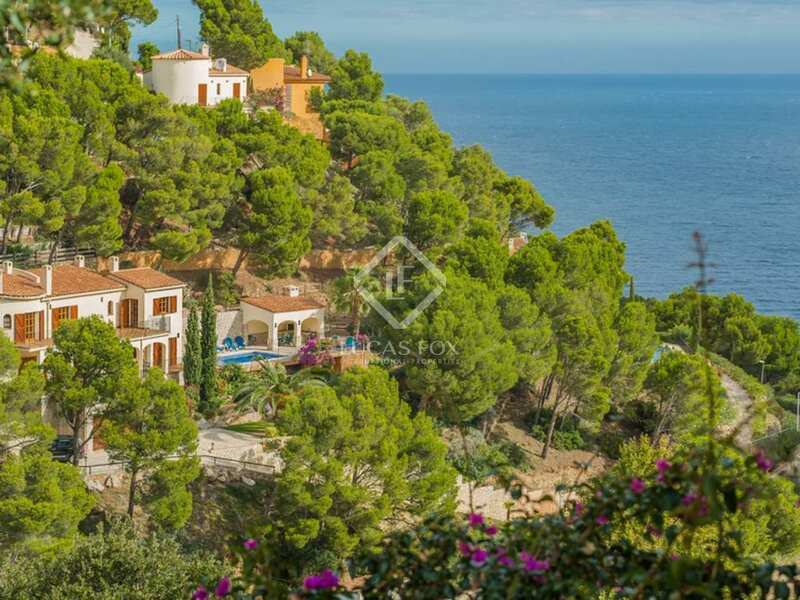 This Costa Brava villa for sale is ideally located; just a short drive to the centre of the village of Begur and the beautiful cove of Sa Tuna. 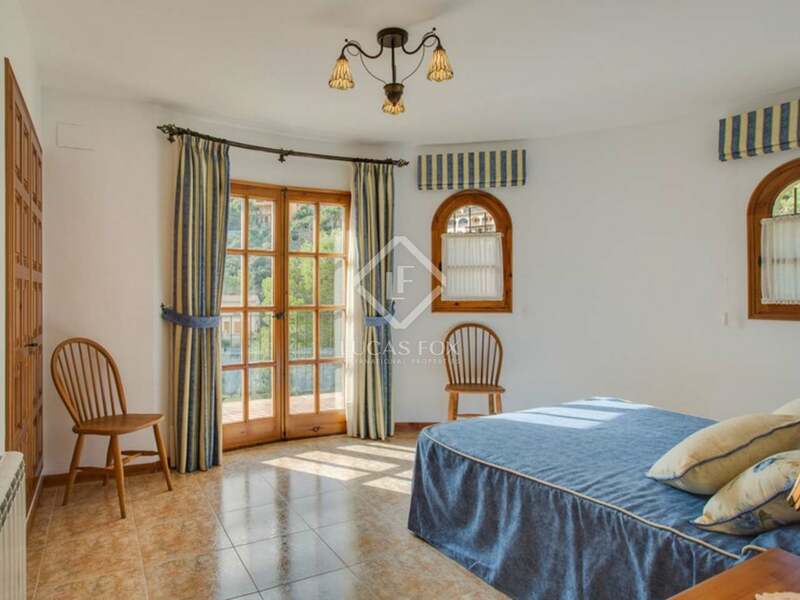 This villa is in immaculate condition; completed in 2005 the construction is suitable for all year round occupation. The property boasts 4 bedrooms, 3 bathrooms and a cloakroom and is built over two levels. 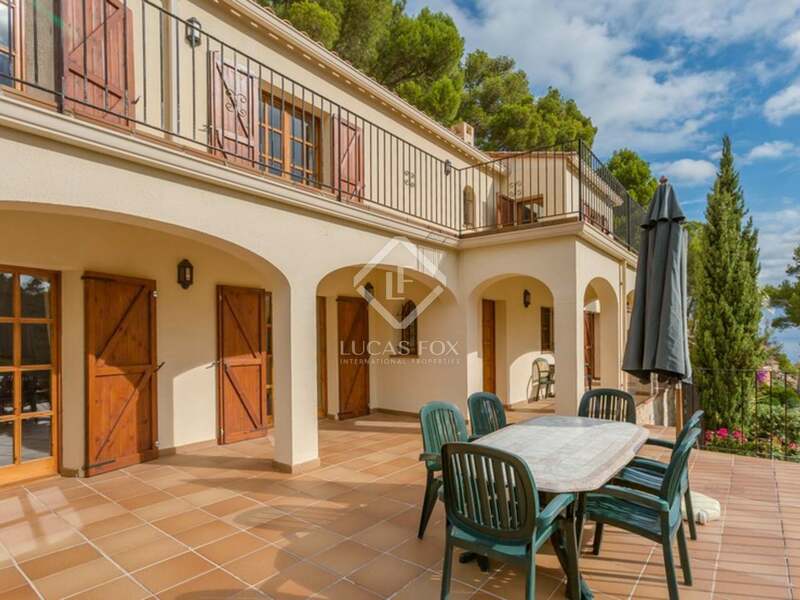 A landscaped drive leads up to the entrance and ground floor level where there is a spacious lounge and dining area, a fully fitted kitchen with integrated appliances off the hallway. 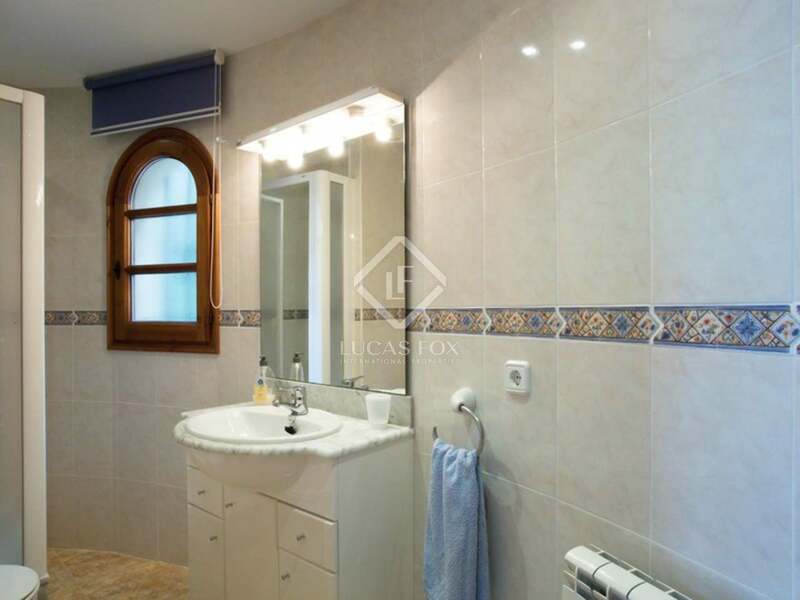 One double bedroom with en suite is also located on this level. 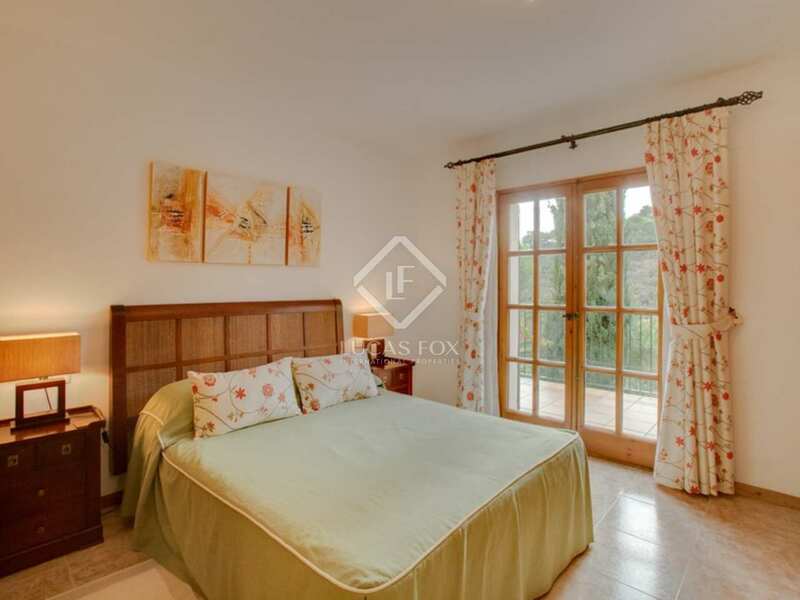 Upstairs there is another bedroom with en-suite bathroom, and a further 2 double bedrooms with a family bathroom. 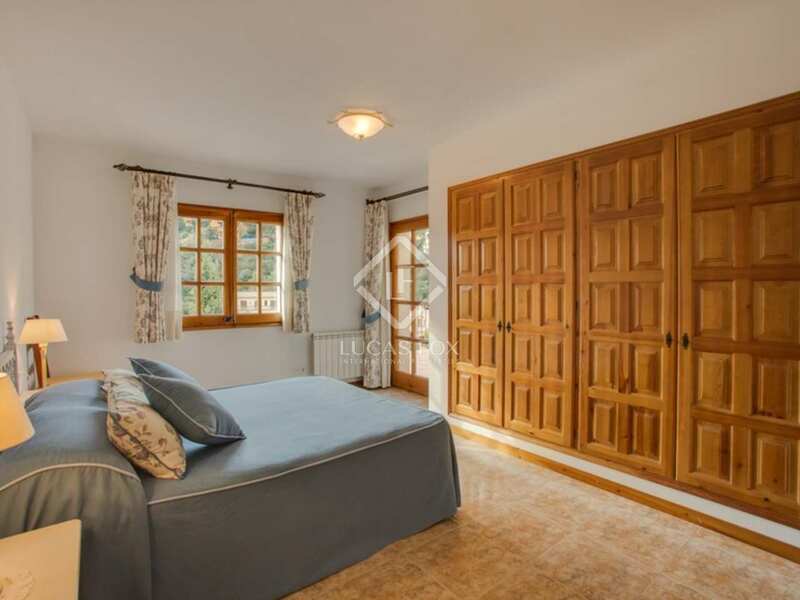 All bedrooms have fitted wardrobes and access to the upstairs or downstairs balconies. 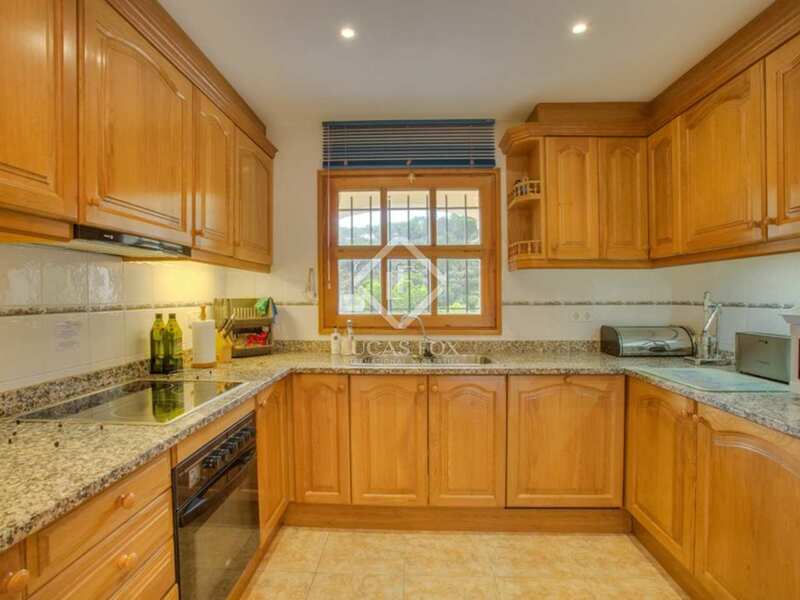 On the lower level there is a very spacious garage with room for 2 cars, plus an area with the washing machine, water softener and boiler. 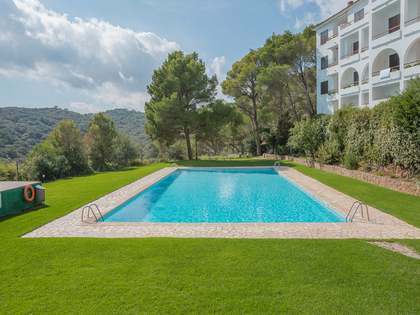 The landscaped gardens offer a spacious outside area to enjoy all year round with mature pines and fruit trees; an extensive poolside terrace, rectangular pool which can be heated, a covered barbecue and dining area, equipped with kitchenette and sink. 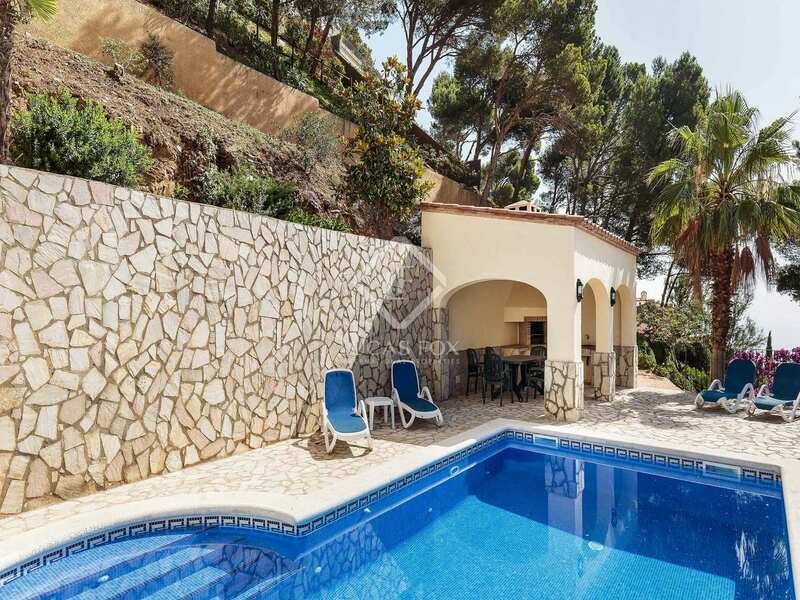 There is also an outdoor pool and storage room. 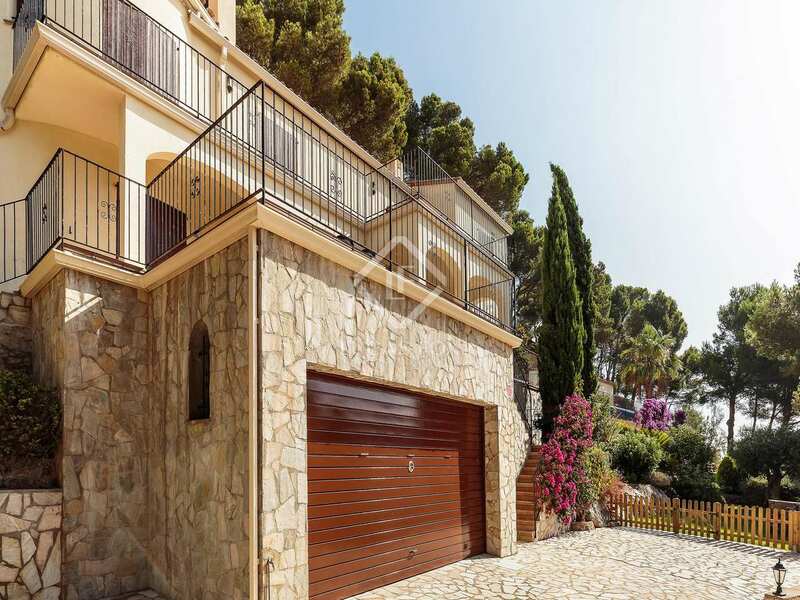 The villa and garage are on three levels accessed via a private drive with plenty of parking at top of drive. 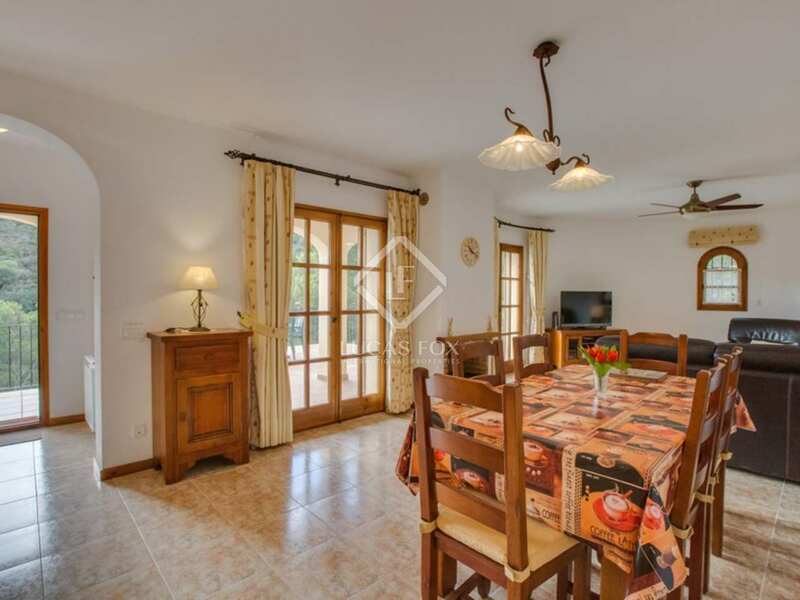 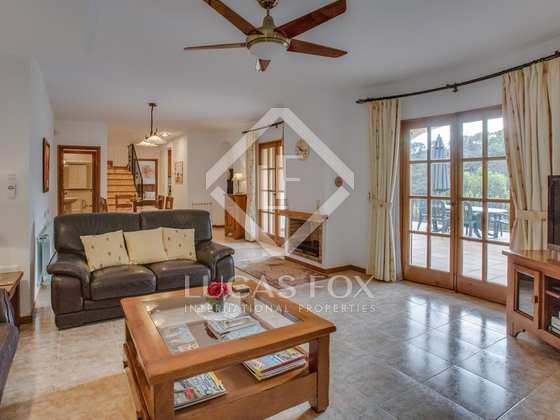 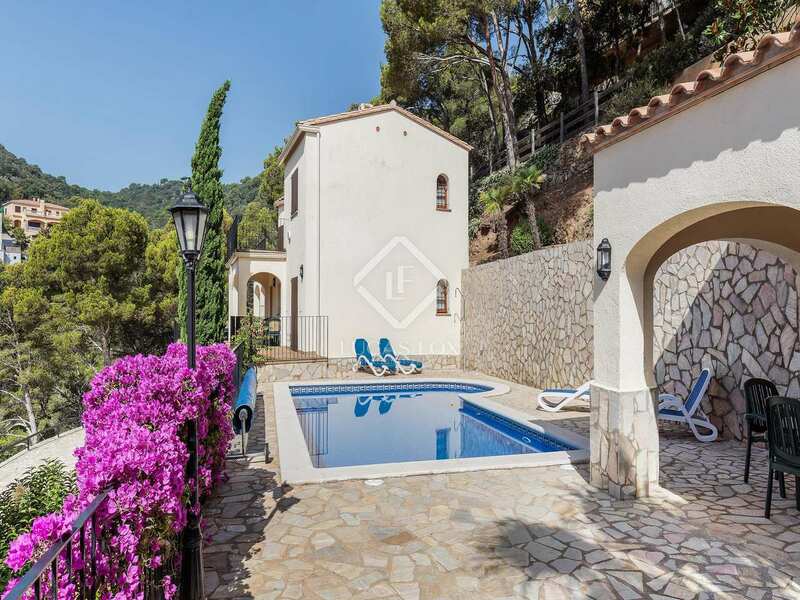 This is an excellent villa for sale in a desirable area of the Costa Brava and would make an ideal primary or secondary residence.